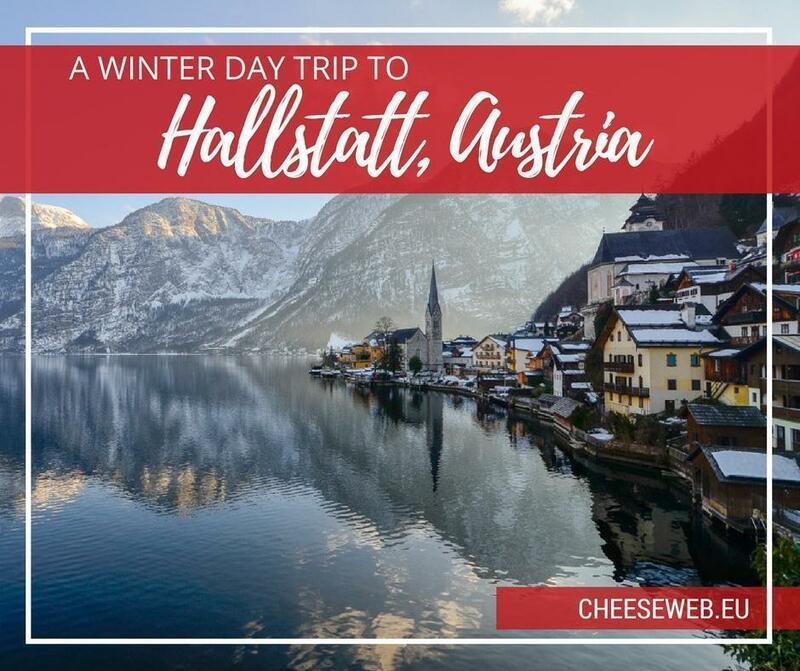 Adi and her family take a day trip to Austria to discover the magic of UNESCO-Listed Hallstatt in winter. We recently vacationed in Slovenia and on the way back my husband surprised me with one hour detour from our route to Hallstatt, Austria. Hallstatt is a village in the Salzkammergut, a region in Austria listed as a UNESCO World Heritage Site. This little village of just over nine hundred inhabitants is well known for its salt mines and salt production dating back to prehistoric times. The salt mine that gave rise to Hallstatt 7,000 years ago is still in operation. Hallstatt is a popular tourist attraction due to its small-town appeal. It’s so small you can explore it on foot in just over ten minutes. Interestingly, Chinese tourists adore Hallstatt; so much so a replica of Hallstatt was built in China, in the town Luoyang, Boluo County, and it serves as a housing development for the wealthy. It’s no wonder the Chinese love Hallstatt in winter. The Austrian town is simply charming! There were three main sights we wanted to see in Hallstatt – the Hallstatt Museum, as my husband is interested in their Celtic heritage, the salt mine, and the skywalk. Unfortunately, they were all closed by the time we got there. The winter season means short work schedules for this little town’s venues. There is a way to drive to the top of the mountain where the skywalk is located but it was completely snowed in, and we did not think our Prius could handle the job. So, with nothing else to do, we walked the town up and down taking photos of this breathtaking area. The main square is surrounded by beautiful, traditional, and colourful houses, making me shutter happy. 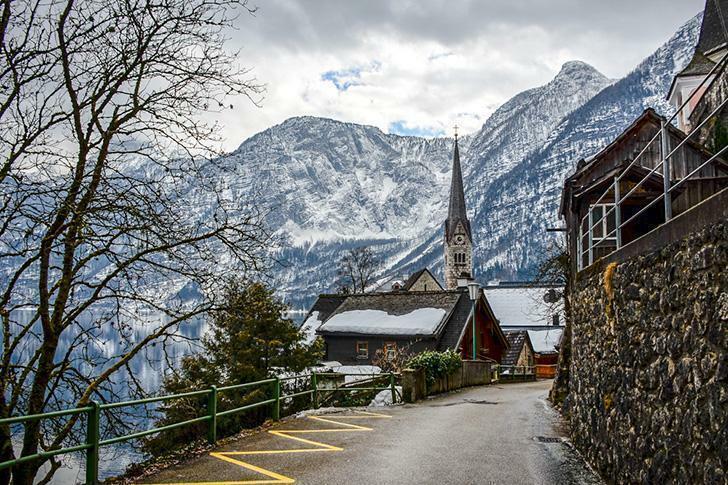 Strolling around Hallstatt in winter is surprisingly tranquil. Before we left, we had to get a bite to eat and chose the Gasthof Weisses Lamm. 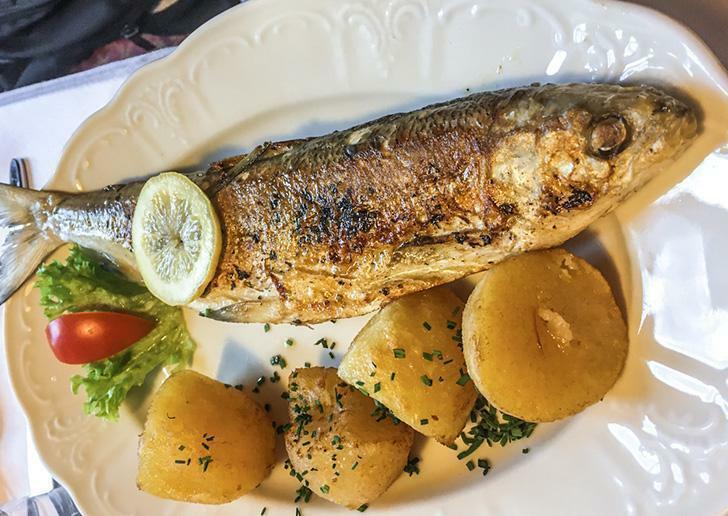 I have to recommend the Fera Bluefish on their menu as it is a local fish, coming from the Hallstatt lake. Fera is a fish found in most glacial and Alpine lakes, especially in Lake Geneva, Switzerland. The fish is meaty, like a steak, and quite an alpine treat. It’s a no-frills meal that will make your taste buds happy. Don’t like fish? No problem. 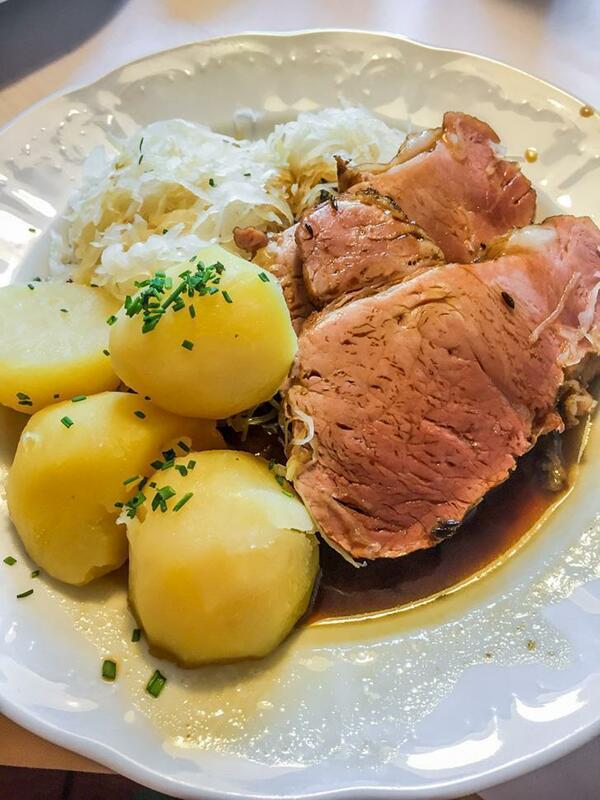 The smoked pork with potatoes is delicious and filling. Hubby could not stop talking about it, so I had to have a bite. As summer approaches, Hallstatt will be on our travel wishlist again, since we couldn’t visit anything this time around. Because it’s only a four-and-a-half-hour drive from Stuttgart, Germany, it’s relatively easy and fast to get to, and you can even bring a furry friend as Hallstatt is dog-friendly. Keep in mind, the drive to the town is not straightforward so do not be alarmed when the GPS directs you in the forest for about 25min. I admit I was a little scared, mostly because they recently had about 30cm of snow and I was afraid the road could get dangerous. But it wasn’t the case; the road was paved all the way and cleared of snow. 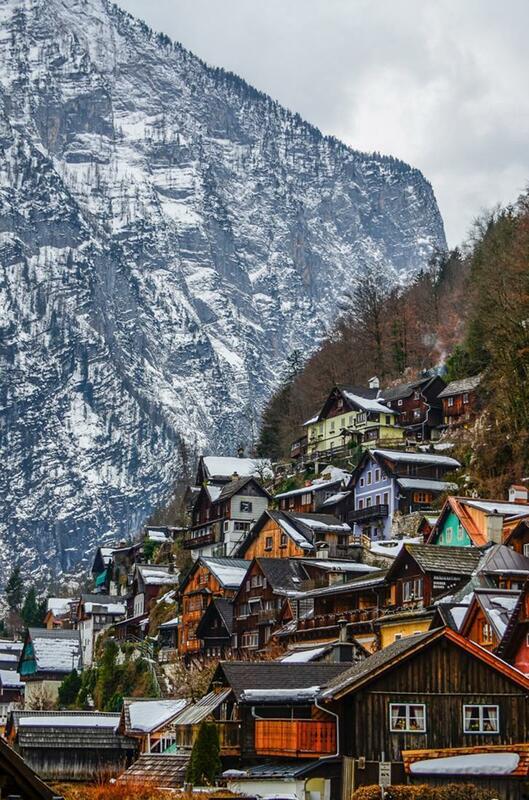 Hallstatt is worth visiting no matter the season. If you need to escape the everyday stress and unwind surrounded by some glorious landscape, Hallstatt is the place for you.